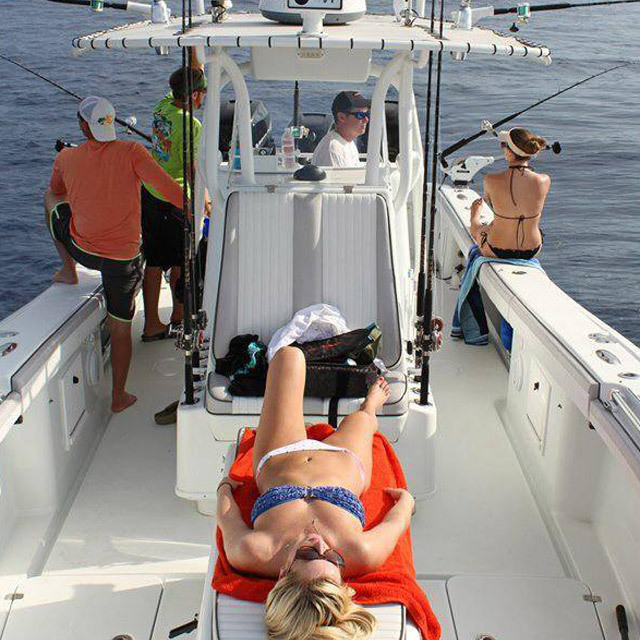 We're available for more than just fishing! 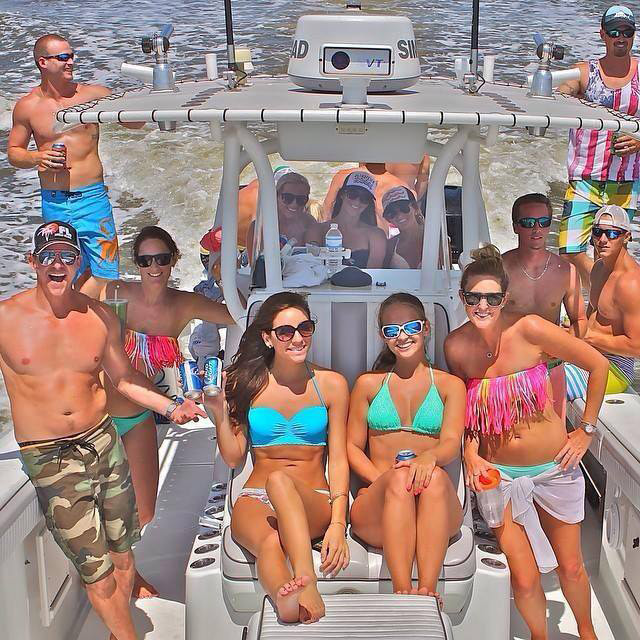 Have an unforgettable experience on the beautiful waters of Amelia Island! 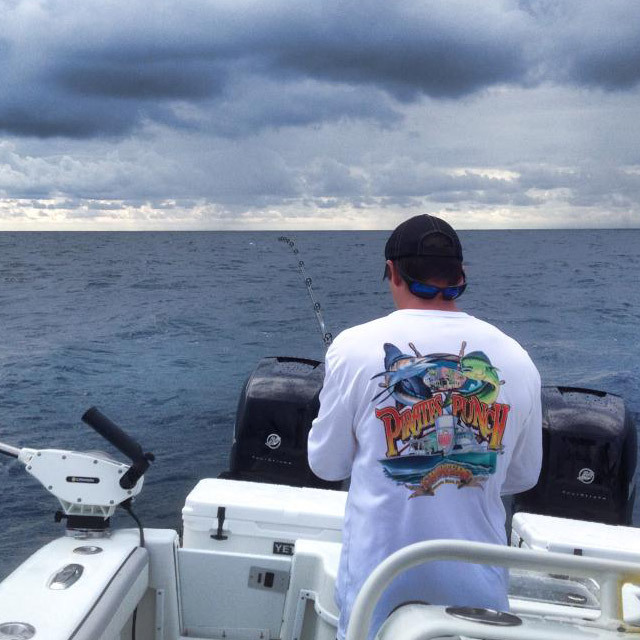 Pirates Punch Charters is an incredibly especially extremely unforgettable experience. 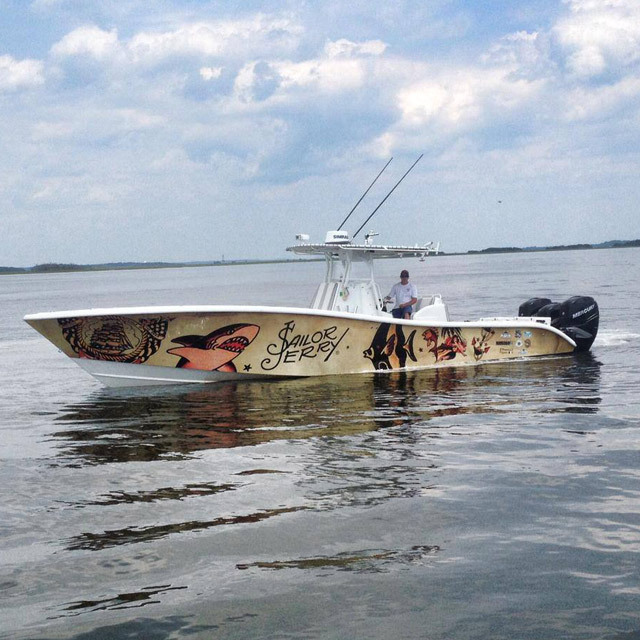 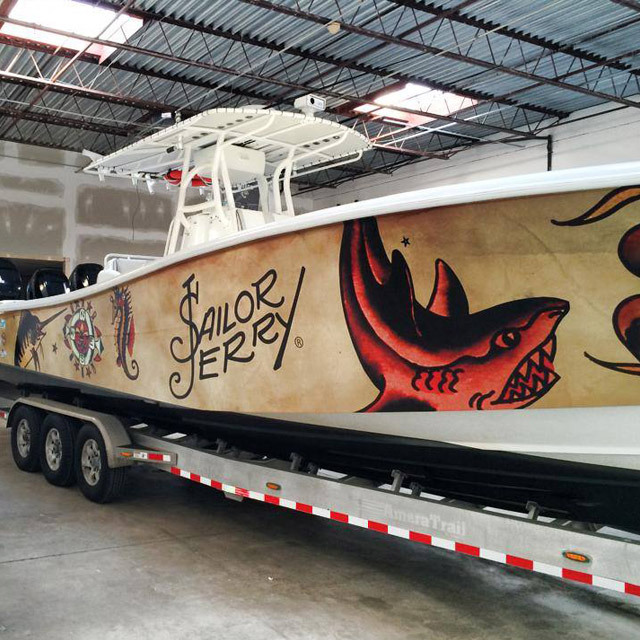 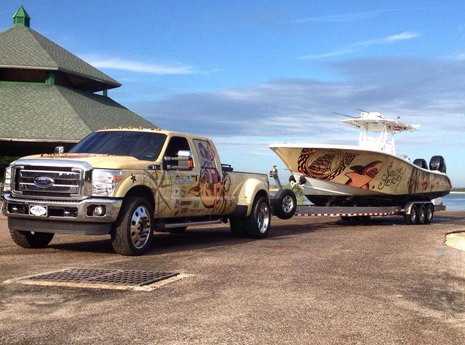 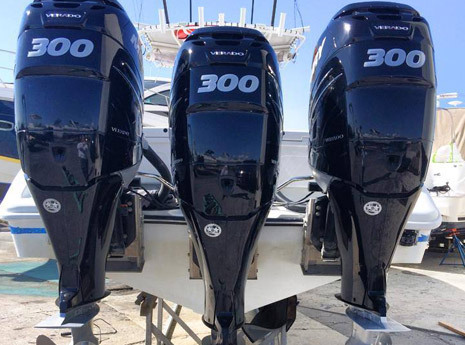 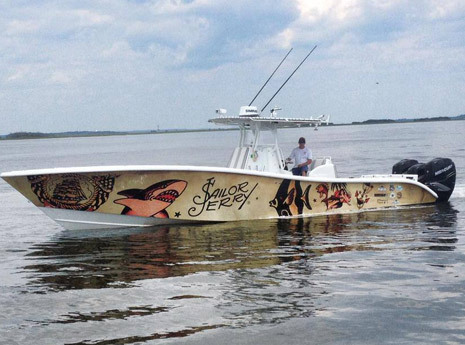 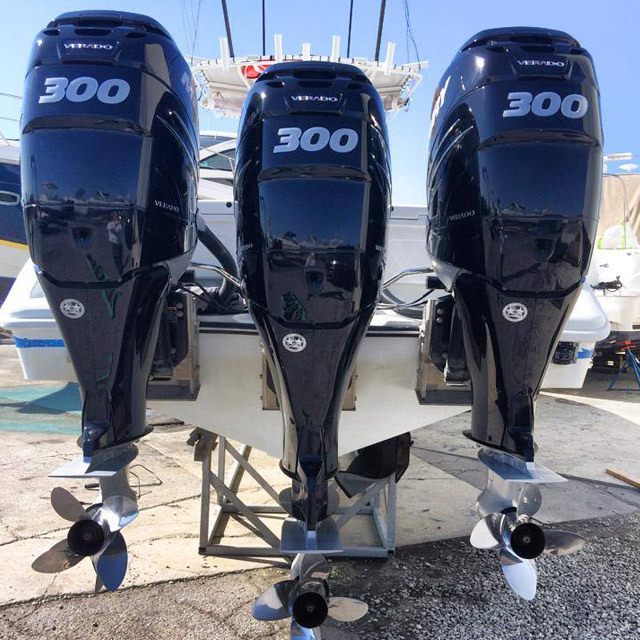 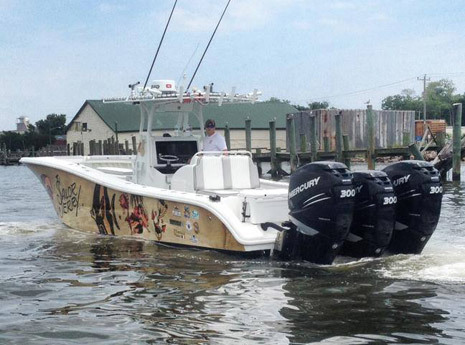 The Punch Cup is a 36ft Yellowfin powered by triple Mercury four-stroke 300hp outboard motors. 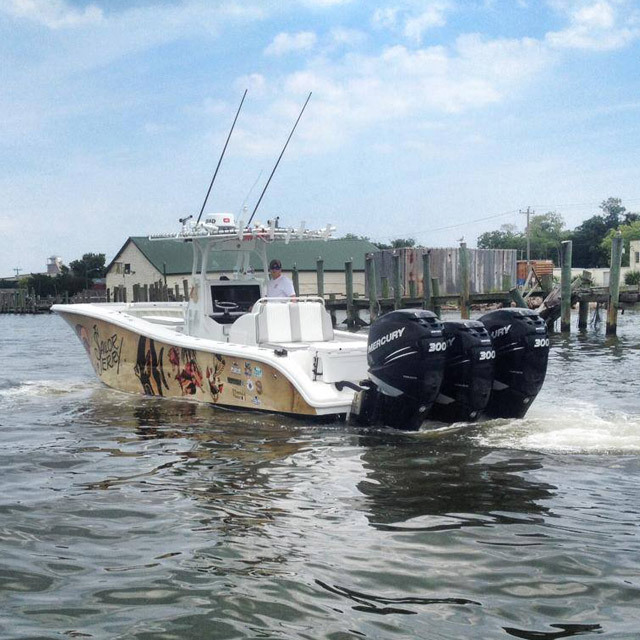 The vessel cruises at 40 mph with a top speed of over 65mph. 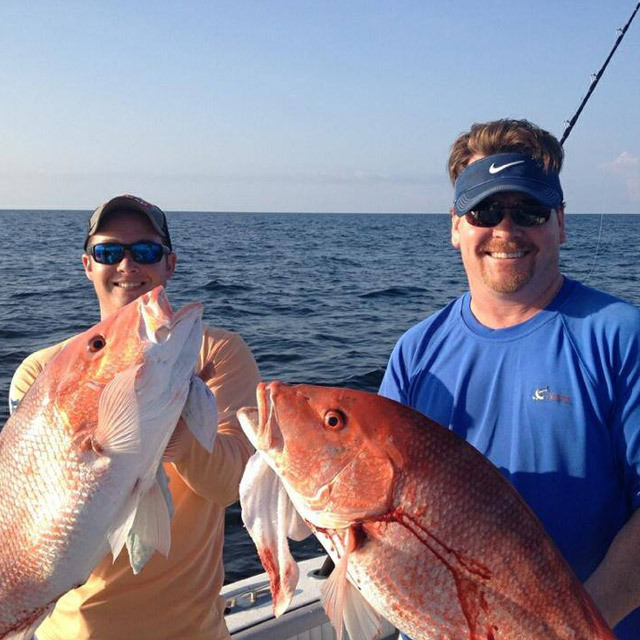 You will spend less time riding and more time fishing. 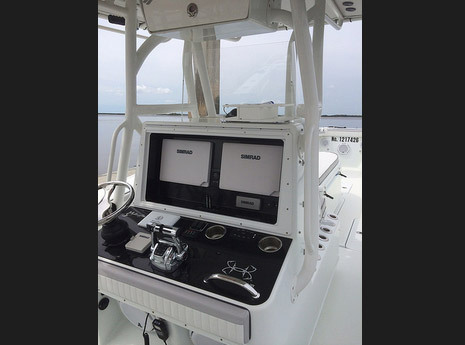 Fitted with state of the art Simrad electronics there is no problem locating fish in the water. 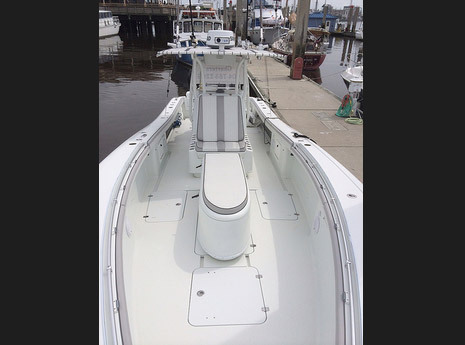 Punch Cup offers plenty of seating for all parties with a restroom in the console and all of the comforts for your next trip! 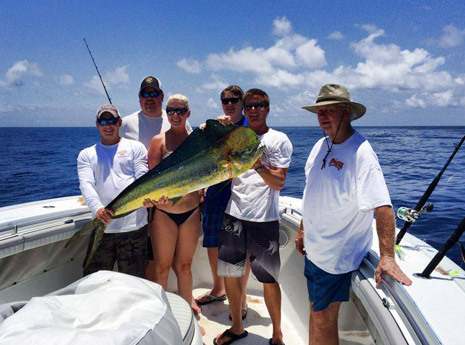 Our jetty and near shore fishing is a great option for families or anglers wanting to catch fish quickly and often. 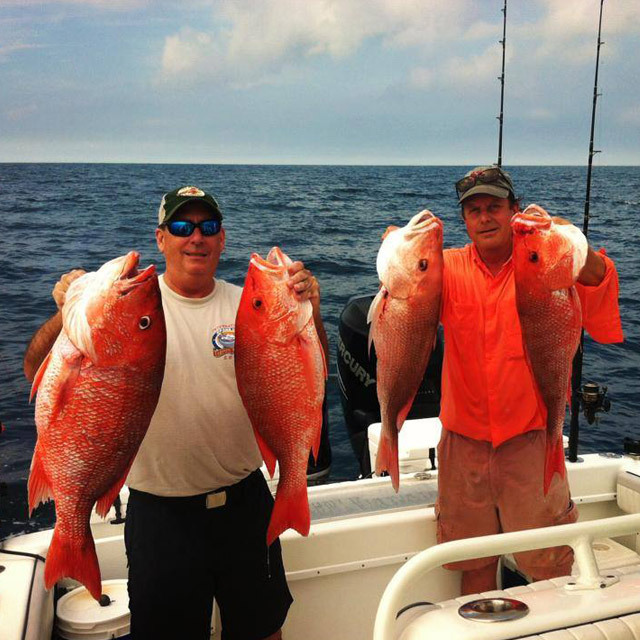 Spring offers Black Drum fishing weighing up to 100 lbs as well as Shark fishing. 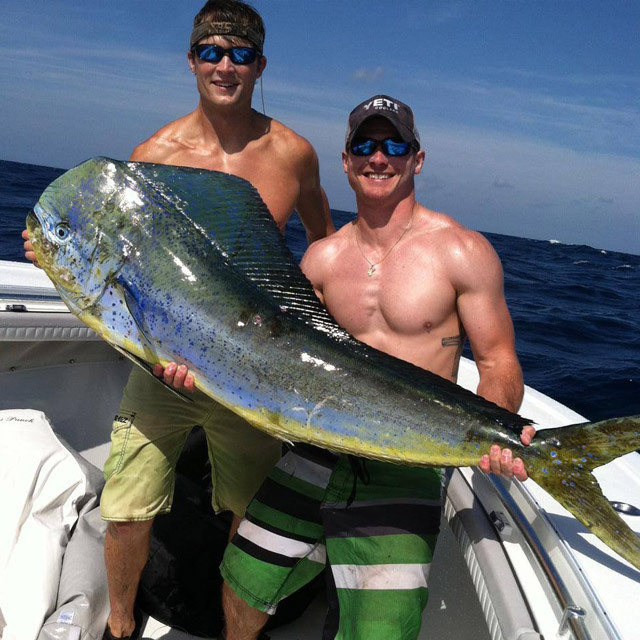 Summer has action including Tarpon weighing 150 lbs, Cobia, Kingfish and Sharks over 300 lbs. 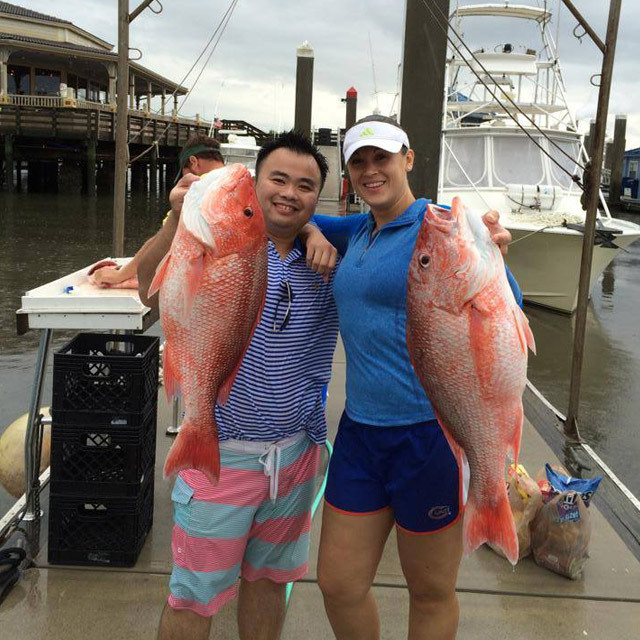 Finally, fall attracts the big Red Drum weighing up to 50 lbs. 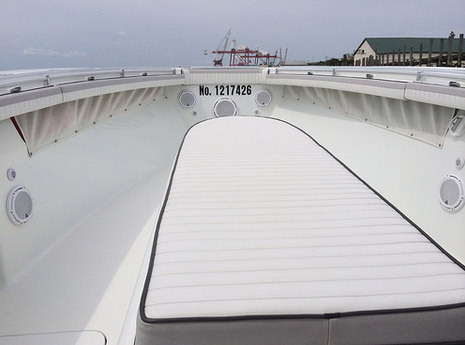 The Jetties are a perfect fit for an action filled boating experience. 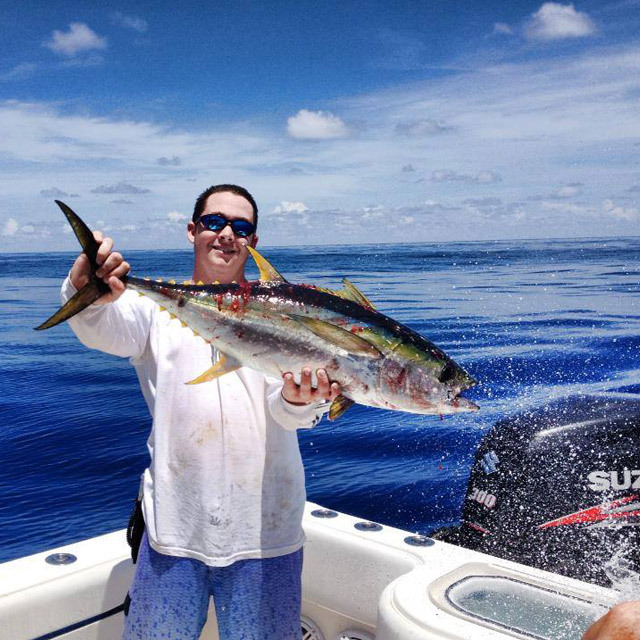 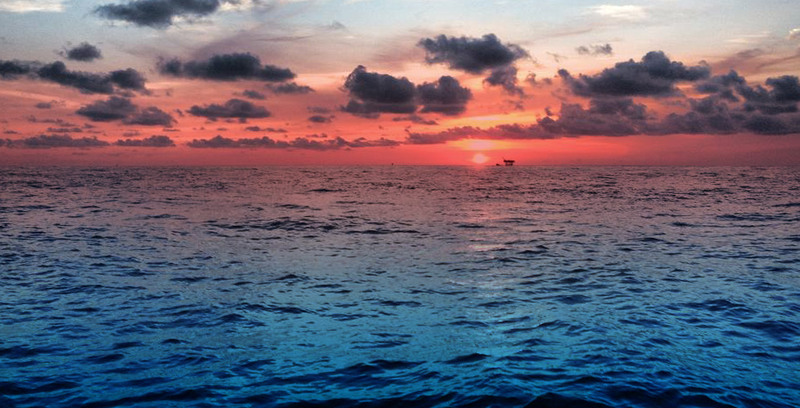 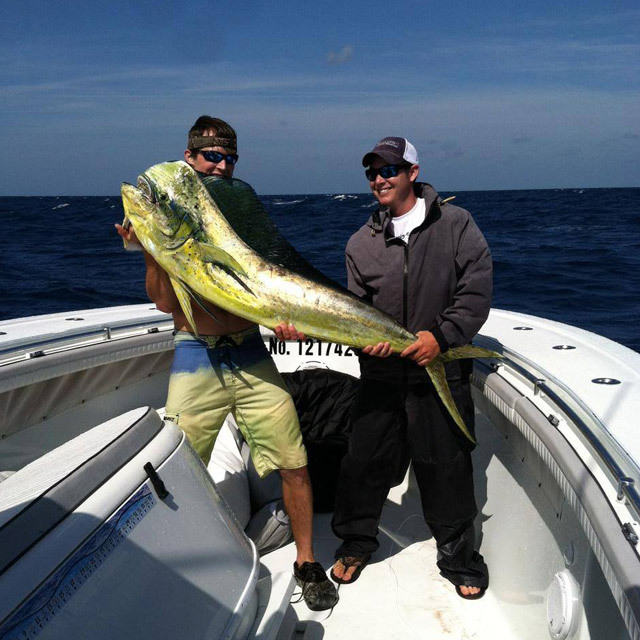 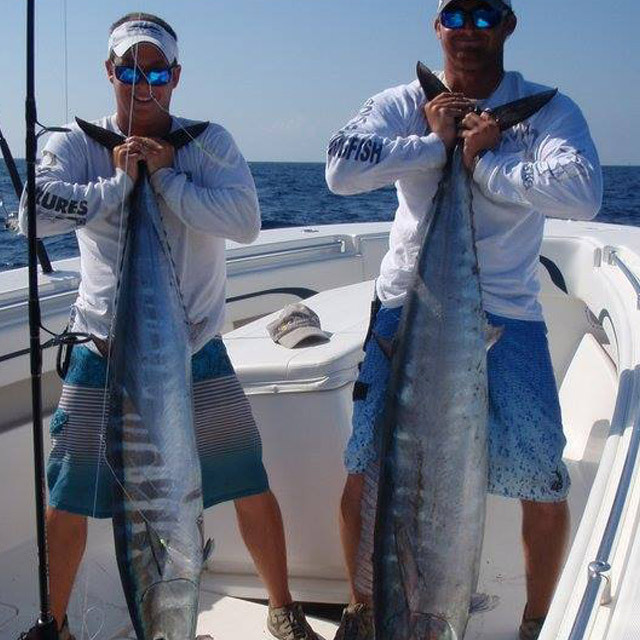 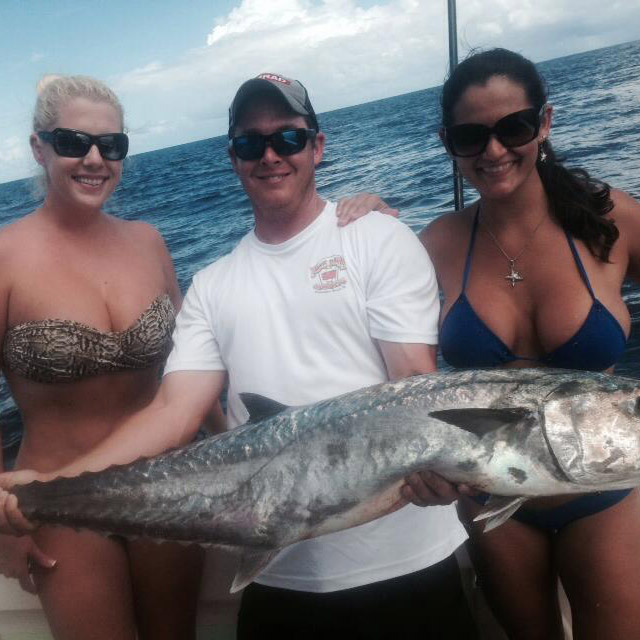 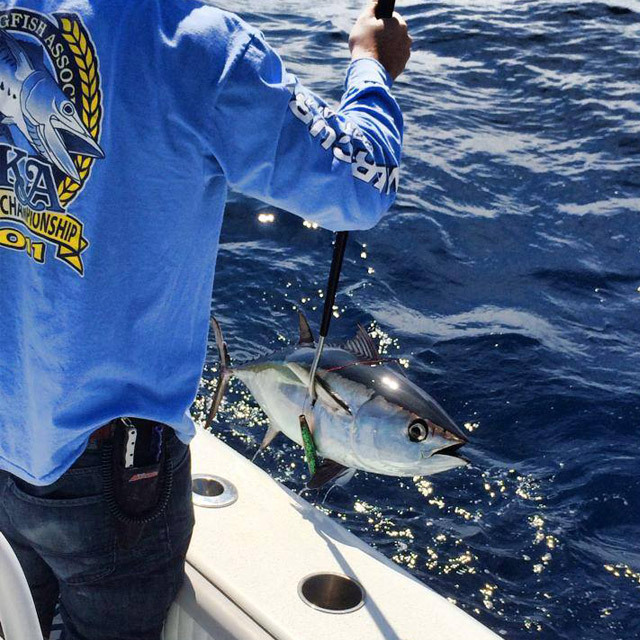 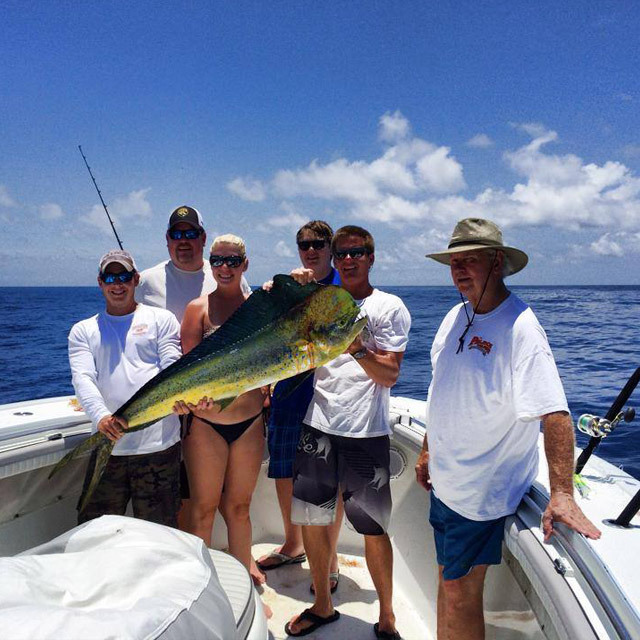 Offshore fishing offers a plethora of options to anglers of all skill levels. 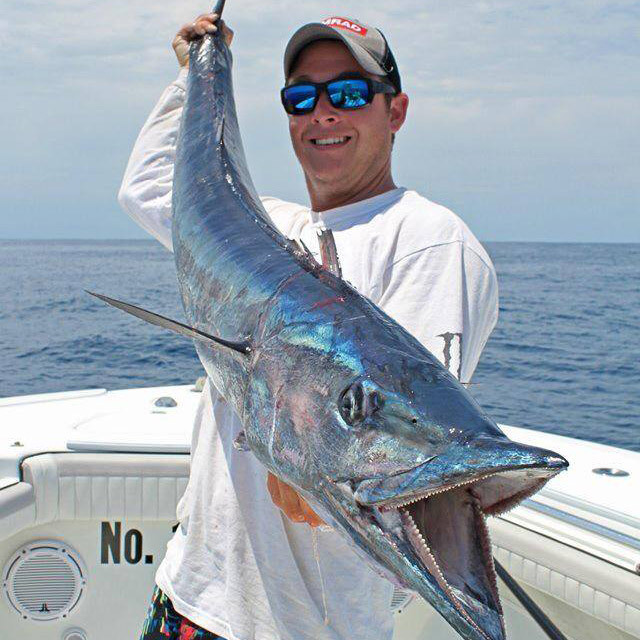 Trolling normally begins in April when Kingfish, Spanish mackerel and Cobia move into our local waters. 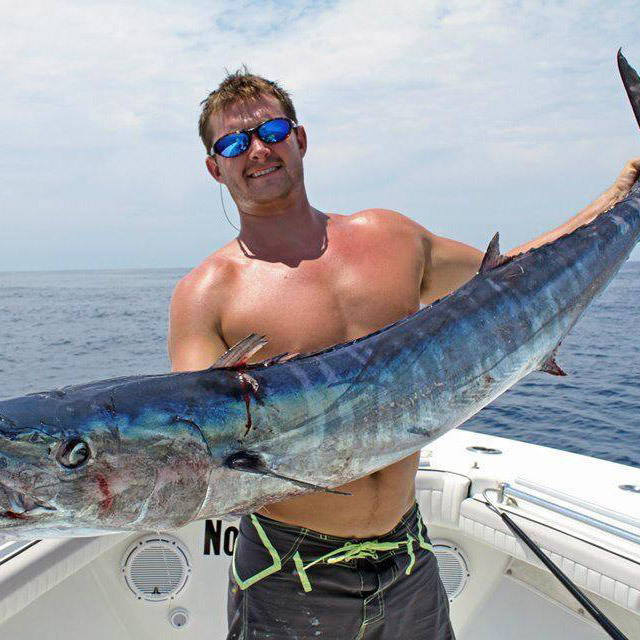 By the end of May offshore trolling is in full swing boasting Kingfish up to 40 lbs, Amberjack up to 60 lbs, Cobia to 70 lbs, Sailfish, Barracuda and lots more. 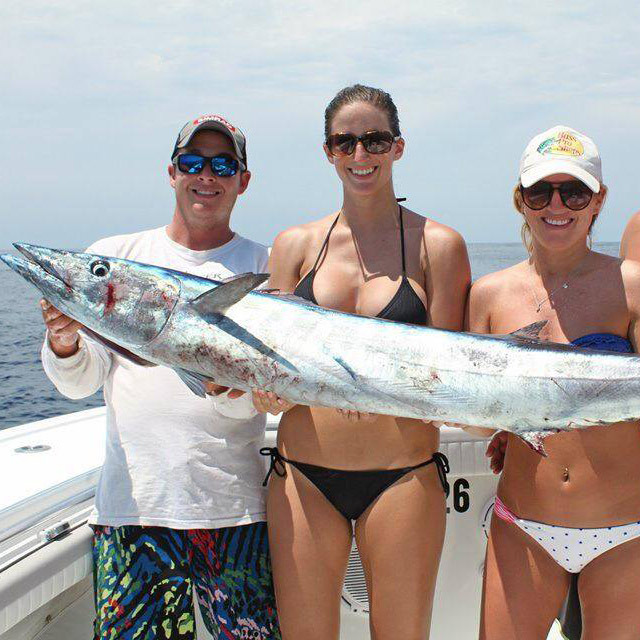 However, Amelia Island is the perfect location for year round bottom fishing with the fall being the most fruitful. 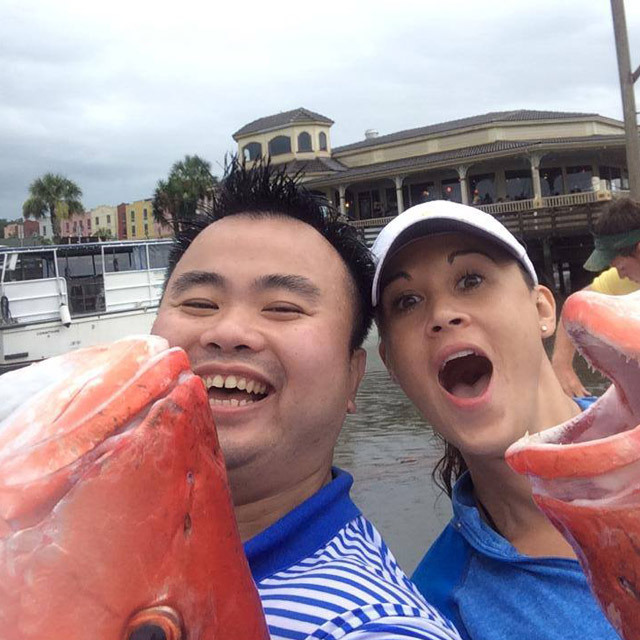 Fish include Gag grouper up to 30 lbs, Red Snapper up to 25 lbs, Black sea bass, Trigger Fish and many more. 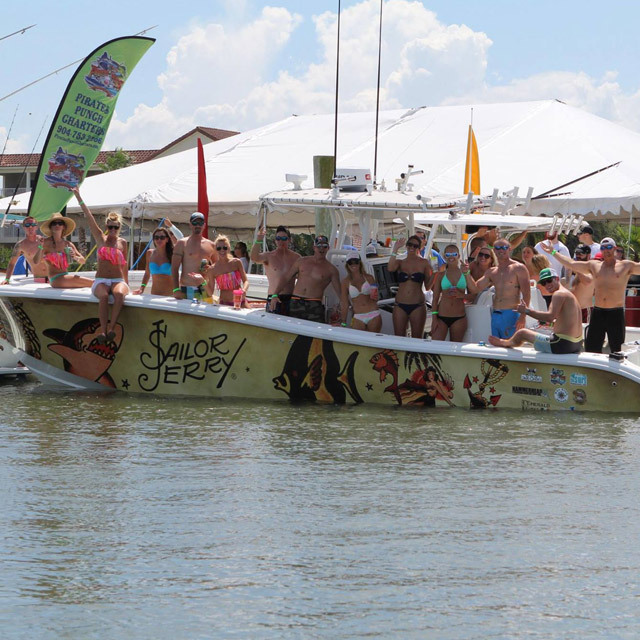 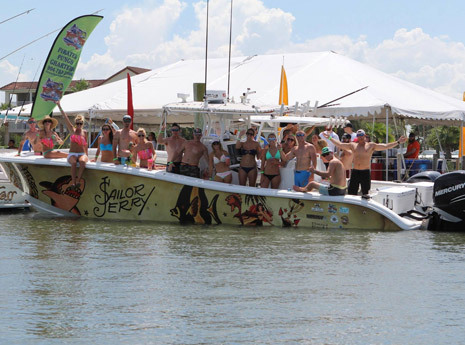 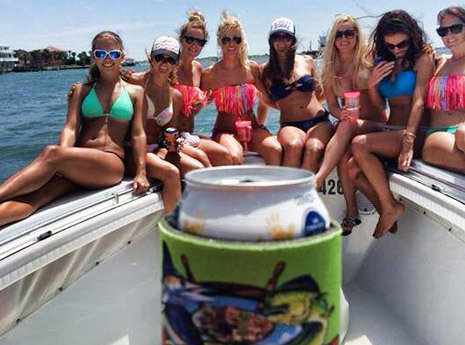 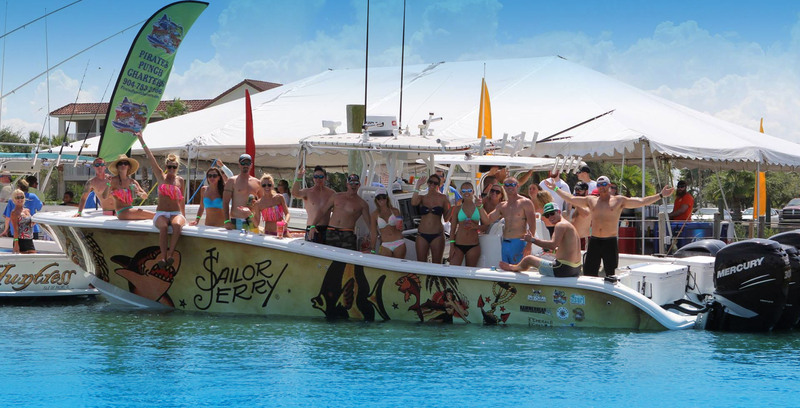 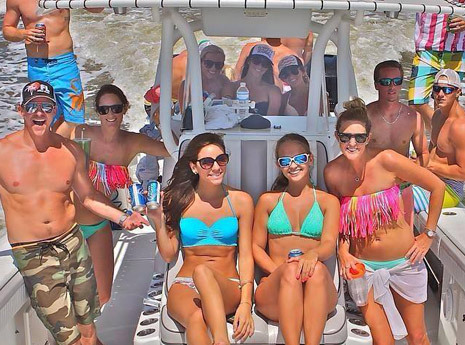 You are guaranteed to have a great time while catching some of the waters most fun fish on Punch Cup! 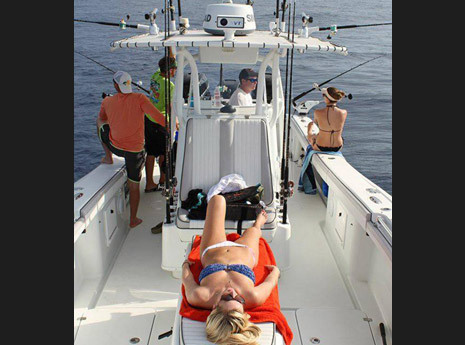 Gulf Stream fishing trips offer world class trolling out of Amelia Island between December and June. 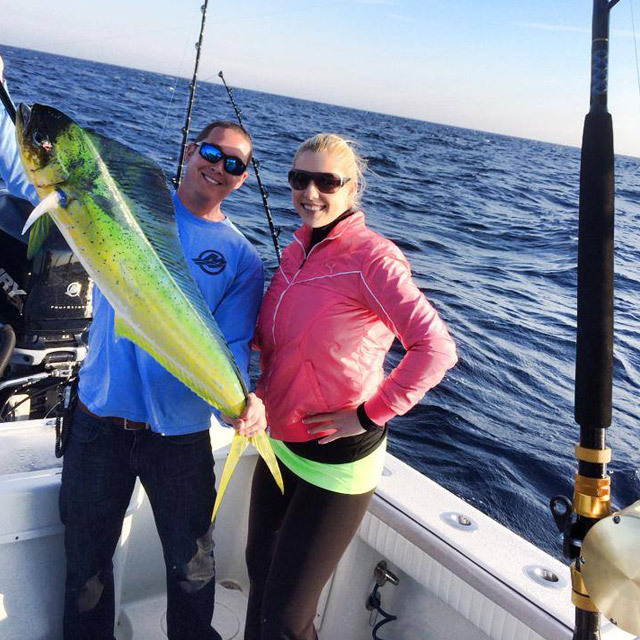 The winter months offer amazing Wahoo fishing and Blackfin tuna but as the water warms in Spring, Dolphin (Mahi Mahi) begin to migrate to our waters by large schools. 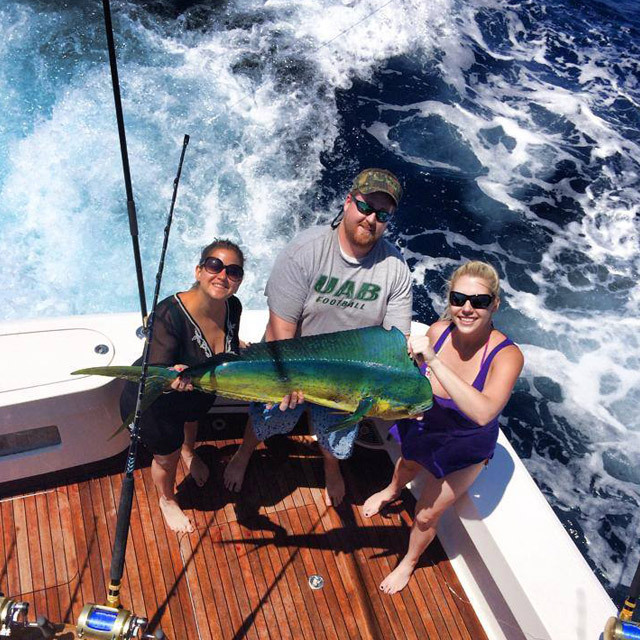 Gulf Stream trips are made more comfortable on Punch Cup as you will get to the stream faster and spend more time reeling in today’s fresh catch! 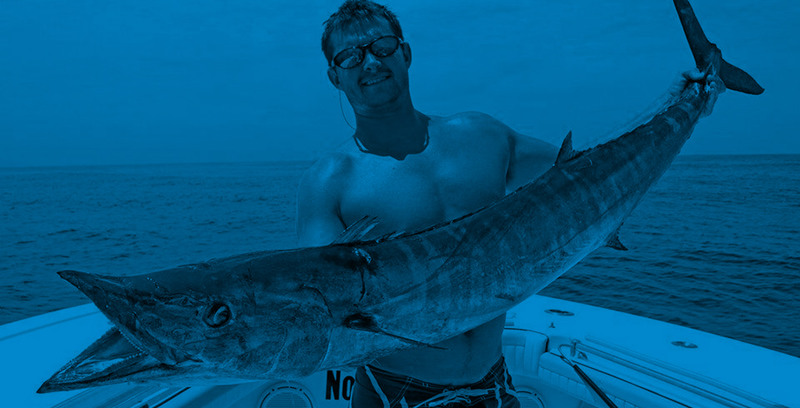 River cruises gives boaters a chance to relax all while seeing some of the Southeast’s greatest wildlife including Dolphin in the river, wild deer and horses on Cumberland Island. 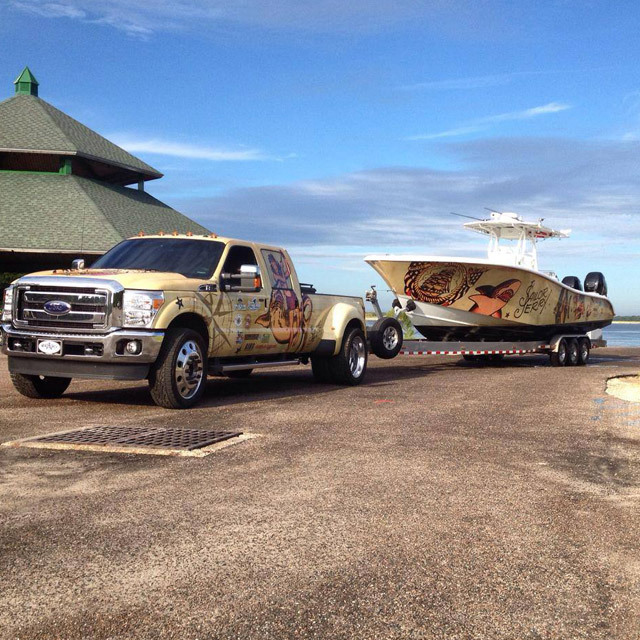 Bask in the beauty of nature and historic sites on Cumberland Island as a Vanderbilt once experienced. 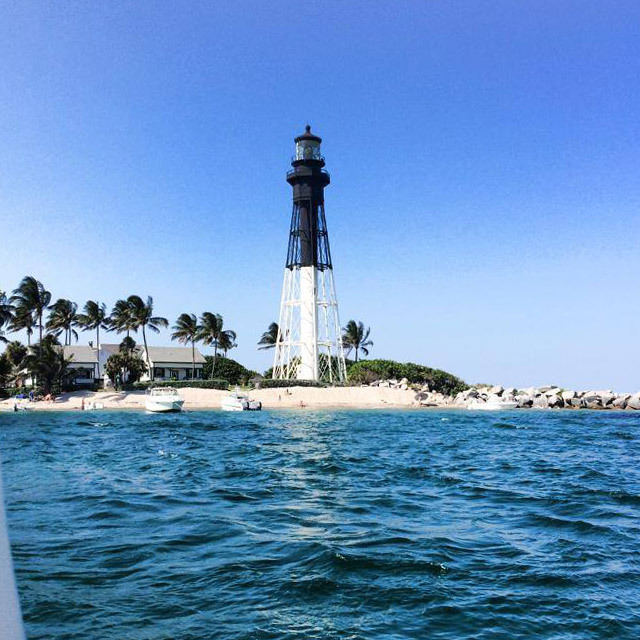 Finally, boaters will have the opportunity to view historic Forth Clinch State Park from the Intracoastal Waterway. 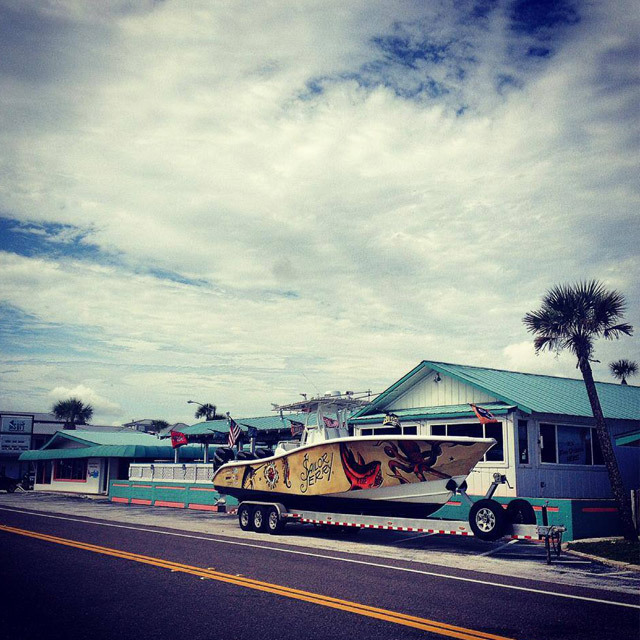 We love to hear from our customers! 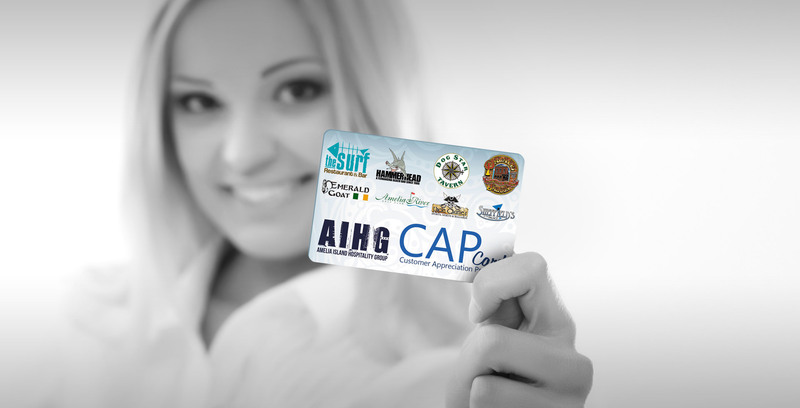 Use the contact form, send an email or give us a call. 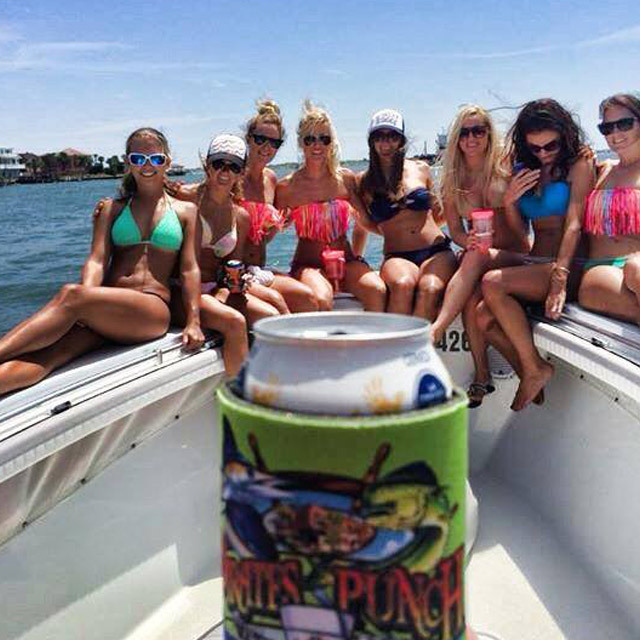 We look forward to hearing from you and seeing you again at Pirates Punch Charters.